LONDON — The chairman of Tottenham opposes the Premier League club's temporary home of Wembley Stadium being sold to a rival for both soccer and NFL. 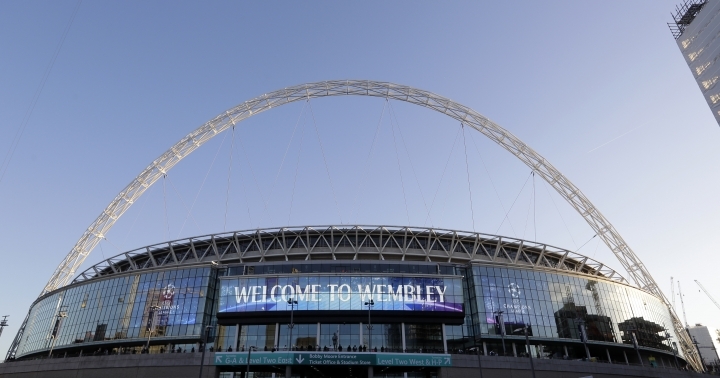 With building work on its own new stadium in London overrunning by several months, Tottenham has been rescued by the English Football Association by being granted longer use of Wembley for its matches than originally agreed. When Tottenham's new venue is eventually completed, it will be hosting at least two NFL matches per season under a 10-year deal in competition with Wembley and its prospective new owner. 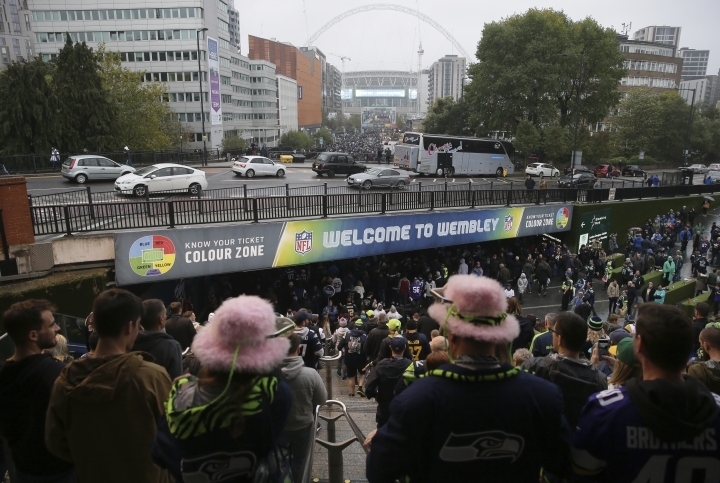 Shad Khan, who owns the Jacksonville Jaguars NFL team and London-based Premier League club Fulham, is trying to buy Wembley from the FA for 600 million pounds ($790 million) and sees it as a possible home for a London franchise. Tottenham chairman Daniel Levy's opposition to Khan's takeover was disclosed in the minutes of a meeting he held last week with the Tottenham Hotspur Supporters' Trust. Levy was recorded as saying Khan buying Wembley would not impact Tottenham's plans for the NFL but that "he was against the sale of Wembley regardless." Tottenham did not dispute the accuracy of the account when contacted by The Associated Press. The FA leadership is working to push through the sale to Khan despite opposition among members of the governing body's council which includes Tottenham director of football operations Rebecca Caplehorn. After 118 years at White Hart Lane, Tottenham's stadium was completely demolished last year to make way for a new 62,000-seat venue on the same site in north London. A planned opening at the start of the season in August was aborted and Tottenham missed a second target to be ready in the middle of September due to issues with what the club called "critical safety systems." Tottenham has provided no timeline for the opening, with the FA bailing out the club by granting the continued use of Wembley which has put an unexpected burden on the field.